On April 16, a little past midnight in the northwest Delhi’s Netaji Subhash Place, a major fire broke out at a wedding venue. The police said that, the fire soon spread to another wedding venue nearby, incinerating furniture and decor in both venues. According to the police, more than 500 people, including guests, were attending a wedding at the first venue when the fire broke out. While a majority of them rushed out on seeing smoke from a portion of the pandal, at least two dozen guests, mostly the elderly, were rescued by police personnel from Netaji Subhash Place police station. The Delhi fire department officials suspect that the fire started from a short circuit that rapidly engulfed the wedding venue and the adjacent pandal, which was vacant at that time. 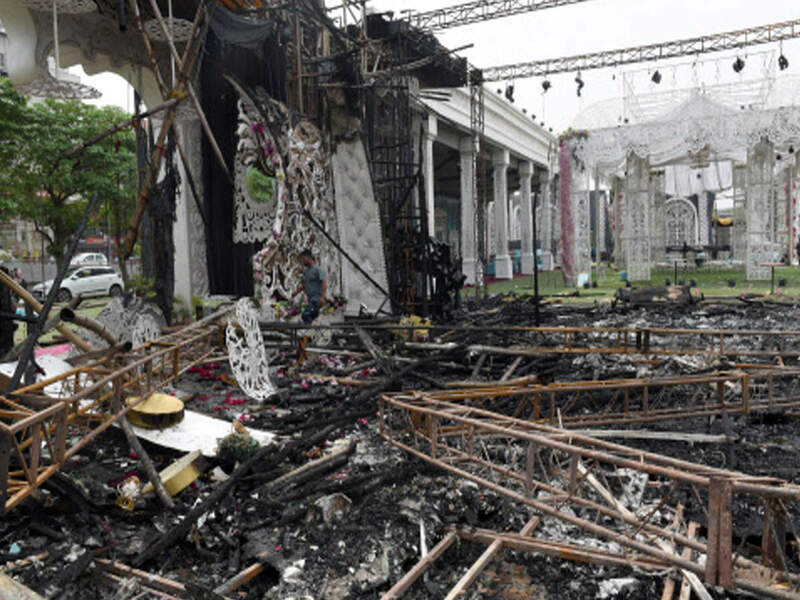 They said that the temporary wedding venues and their interior decorations were made using rods, wood, cloth and other decorative items which were considered flammable.